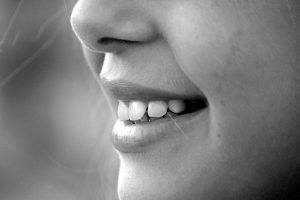 Home » Blog » Orthodontic FAQs » Am I an Invisalign Candidate? Invisalign clear aligners are a tempting option when you’re considering your orthodontic options. They’re far less conspicuous than traditional metal braces, and many people find them to be more comfortable because of the smooth edges. As with any medical treatment, you should see a specialist to get a reliable answer about your individual case – you can inquire about appointments here. Invisalign aligners are fantastic, but they’re not a viable solution for every bite. In most cases, invisible aligners of all kinds are best for mild alignment and bite issues. As long as none of your malocclusion problems (your crooked teeth) are too extreme, you might be a great candidate for Invisalign or other similar aligner trays. If your bite problems are more severe, Invisalign or similar solutions probably aren’t the best option for you. Invisible aligners move teeth gradually through a series of trays that fit over your teeth, and if you need to move the actual roots of your teeth, it’s challenging for these types of treatments to be effective. Having these types of treatment challenges doesn’t mean you’re completely limited, though. For those with more challenging orthodontic issues, but who still want a discrete way to straighten their smile, there are options. Ask your orthodontist if you might start with traditional braces to correct the most pronounced problems with your teeth, and then possibly transition to Invisalign later in your treatment. Don’t be afraid to ask questions. It’s your smile, and you should love it.